Hi-Resolution means your average gaming PC ain’t going to cut it, at least not in mid-2014 as I am writing this. You better beast mode up on a nice rig, or forget buying one, period. Even if you don’t game, everything is compressed down so expect delays without at least one solid GPU! The menu is decent but lacking features I have seen in other brands of 4k, like Asus. The stand is very limited on it’s movement, so if it ain’t right in front of you at eye level, good luck with that. Not going to lie, the picture ain’t half bad at all. It’s crisp, lights up beautifully. I went from a very good Samsung 24 LED Full 1080p HD monitor to this, and its noticeable. The quality is here. You can see it and feel it when you pick it up. I would be hard pressed to find a better monitor right now for the same money. The price of the unit ain’t bad. Amazon has it for $650, which means Best Buy will price match it. And Best Buy is where I picked mine up. I had to take the in store unit as they were out of stock. The sales rep (a friend) felt bad for selling me on this beast after I was telling him about my new Crossfire setup, so he bent the rules on a display unit. To truly maximize the potential of any 4k monitor, including the Samsung 4k, your going to need to upgrade from an HDMI cable. I bought this mini-display port to display port from Amazon. The simple reason is HDMI caps this monitor around 30 refresh rate. But, this monitor can refresh up to 60 refresh, and in my ATI catalyst control center it stats up to 75 refresh. But, you will need this cable. 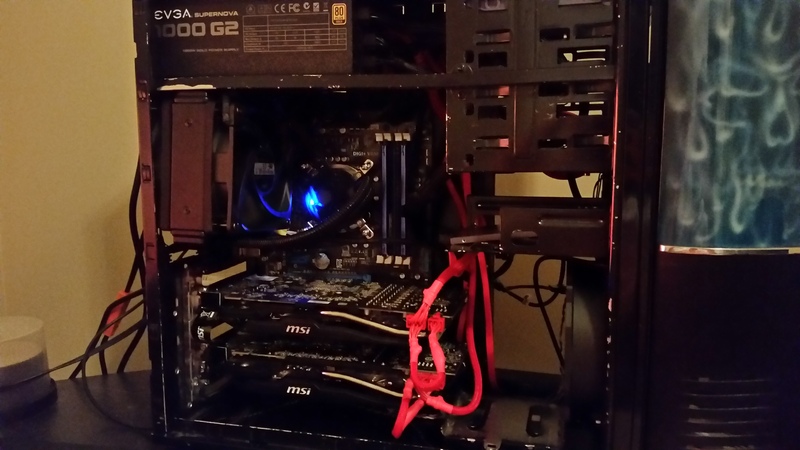 The good thing is most new graphics cards, including my MSI 280x, support multiple display port (mini) connections. Lastly, with windows 8 and high res screens (not just 4k monitors but any higher DPI screen) you’ll need to adjust your DPI settings to a comfortable level for yourself. Go to font in the control panel and adjust the size of items. Personally, I like items to be really small on a high-res screen, because they’re meant to be able to display an enormous amount of information, then you’ll want to adjust cleartype text in the display options in the control panel as well. Termaltake Tsunami Case with MNPCTECH custom paint job! 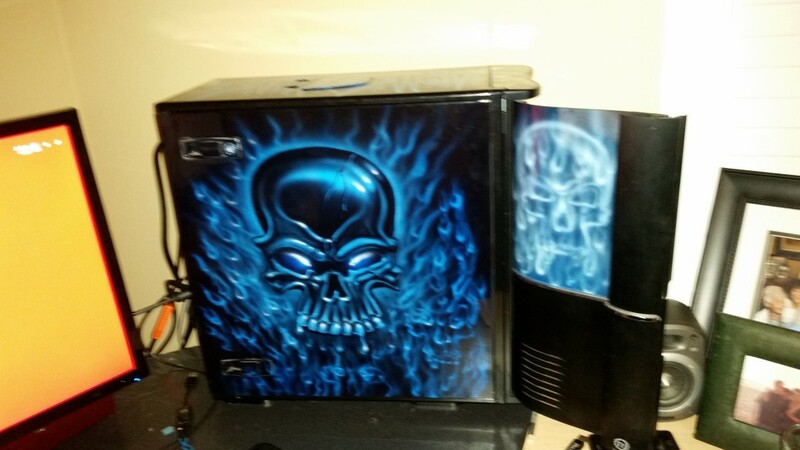 Your the man bro, 9 years and still loving this case. I will be honest that my setup is above average. While not extreme, my current 3D Mark scores beat 93% of the competition. So my PC ain’t no slouch. When I am playing Battlefield 4 (BF4) on 1080p, its ultra settings on all and it blows through it like nothing. But, 4k gaming is another story all together. 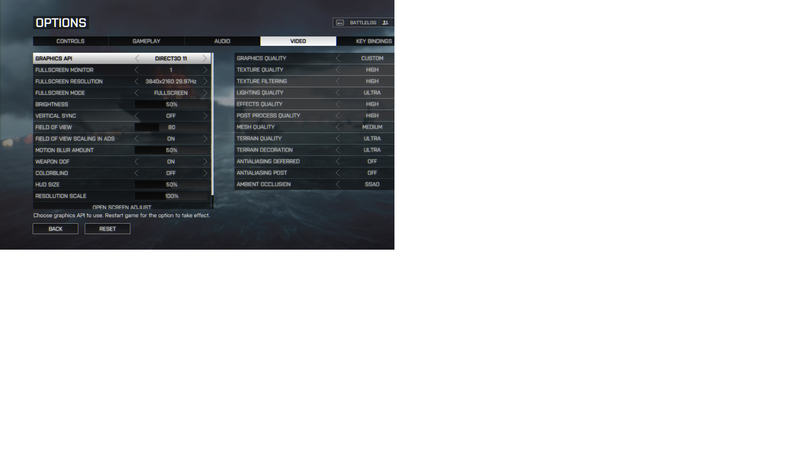 So lets talk about how my PC handles Battlefield 4. First, I want to let you know I experienced some issues. I had the “grey yellow lines” of death that will literally make you lose your mind. I had to re-install my drivers, and after many Google searches I almost gave up. Current not using BETA drivers. For whatever reason, plugging in my old 1080p monitor as a secondary monitor made the setup work with the crazy BF4 Yellow lines of death. Still may not have fixed the issue, but its been working fine for now. So be prepared, you MAY HAVE ISSUES getting your 4k monitor to work in Crossfire or SLI. Point blank, the technology is so new the drivers have not caught up! I tried a lot of stuff and nothing seemed to work, except plugging in my spare monitor. Go figure. To answer this question, please see my PC stats. The game supports the resolution, thats 3840 X 2160 @ 30 HZ. On my PC, it can run ULTRA settings on ALL, BUT, its not smooth. You can load it up to show someone, but if your going to actually try to be competitive, best lower your settings. On Battlefield 4, I run these settings current with my Samsung 4k Monitor. See picture. It runs the game very well, and is smooth. The graphics are very, very good. Battlefield 4 is an INCREDIBLE game for displaying next generation graphics. Blew me away the first time I went through campaign. So I hope this article helps you out a bit. I’m only playing Battlefield 4 right now so have not tested this Samsung 4k out on any other games. But, I’m sure with my rig she won’t disappoint one bit. And before I let you go, I wanted to share one of the WORLD’s most powerful gaming PC’s currently. 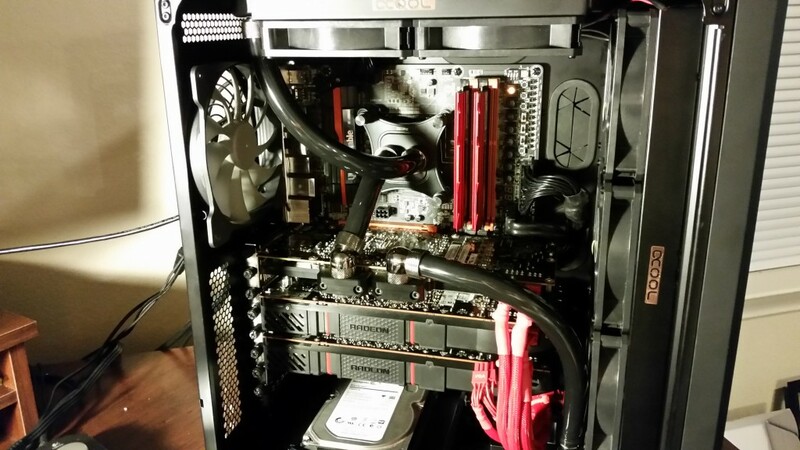 It’s my good friend bond32’s Crossfire 290X watered cooled beast! Once he gets the water blocks on all three cards we are going for a top spot in the benchmarks all! Picture below! I finally worked out that i didn’t have enough bandwidth through the adapter and got a Mini DP to DP 1.2 cable and all issues gone away. monitor runs at 60Hz and runs BF4 ultra in 4k @60Hz and its a beautiful thing! Yeah I had a tech friend tell me that I need a DP cable and not HDMI. Which is what I figured was best. Now you got me thinking if my cable is okay!? I got a gold plated one off Amazon for $10 bucks.